The lawyers representing Mikhail Khodorkovsky and Platon Lebedev have appealed the sentence passed on Thursday by the court, which will keep Russia’s most famous inmates behind bars until 2017. The Moscow District Court’s decision has not come into force yet and counsel had ten days to submit their appeal to a higher authority – the City Court. However, the lawyers had to rush before the start of the New Year holidays in Russia, which will last until January 10. 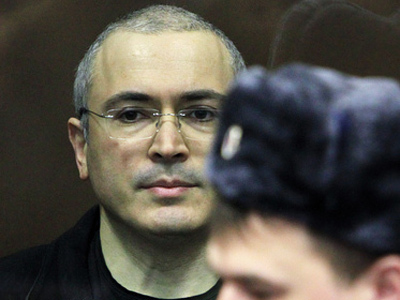 "We request that a higher court annul the sentence and stop the progress of criminal charges [brought against Khodorkovsky and Lebedev] due to a lack of evidence of a crime being committed," said Karina Moskalenko, one of Khodorkovsky's lawyers, cites RIA Novosti. She pointed out that the complaint is just preliminary because the legal team has not yet received the text of the verdict or copies of the minutes. It now consists of just nine pages, but it will be expanded as the lawyers get hold of more documents, she told Interfax. The court said the guilt of the businessmen charged with organizing a criminal group in the oil business, embezzling 218 million tonnes of oil and money laundering, was proven. 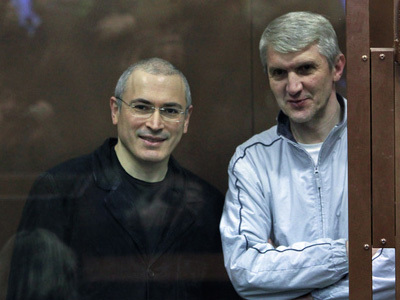 In what became the second case against them, Former Yukos CEO Khodorkovsky and Menatep head Lebedev have been sentenced to 13.5 years behind bars. "I believe this sentence is unlawful and is not based on evidence,” another Khodorkovsky lawyer, Yury Shmidt, told reporters after the verdict was pronounced at Moscow's Khamovnichesky District Court. The trial has been closely watched both in Russia and abroad, and Thursday’s court ruling has triggered a wave of criticism. The head of Moscow Helsinki Group, Lyudmila Alekseeva, has called the sentence cruel and absurd. It shows that “we have no independent justice,” she told Interfax agency. “An independent court would never have passed this sentence in this absurd case". Board member of the Institute of Contemporary Development Evgeny Gontmakher also said the new sentence is “unfair”. “In my opinion, the judge has been partial in considering the case. I can only express regret over it. I hope the sentence will be appealed,” Interfax quoted him as saying. 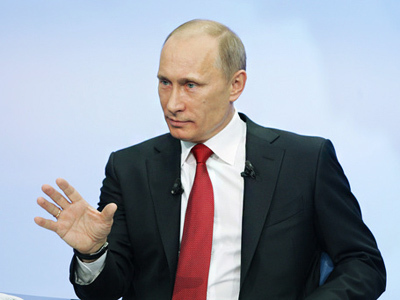 Gontmakher added that the verdict is likely to affect the investment climate in Russia. Sergey Mitrokhin, the leader of democratic party “Yabloko” believes that “the accusations are legally unfounded" and President Dmitry Medvedev should step in. "If the president is serious when he speaks about political modernization and sincerely believes in such, he must interfere, because this sentence nullifies every word the president has said on the subject before," he said, cited Interfax. 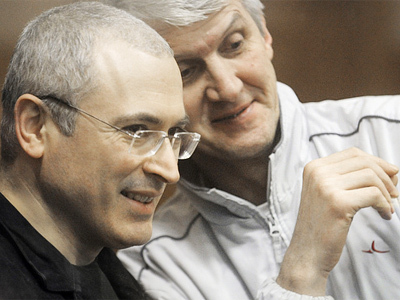 According to Mitrokhin, Khodorkovsky tried to break "a mutual guarantee between big business and authorities." Thanks to such solidarity many businessmen and authorities managed to make fortunes in the ’90s. The leader of the Liberal Democratic (LDPR) faction in the State Duma, Igor Lebedev, is among those who believe the sentence was fair and there are no grounds to doubt it. He recalled Premier Vladimir Putin’s words during his annual televised Q&A session, repeating, “A thief should sit in jail”. The Presidential Council on Human Rights announced it is planning to examine the new sentence. “The Council has been monitoring this high-profile case. And as in the case of Sergey Magnitsky [a Russian lawyer, whose death in police custody sparked a major scandal – RT] the Council is likely to create a working group to study the court’s sentence,” the head of the Council, Mikhail Fedotov, told Interfax news agency. The findings of the study will only be made public after the sentence comes into force, as “no way we would want to influence the court’s decision,” he added. 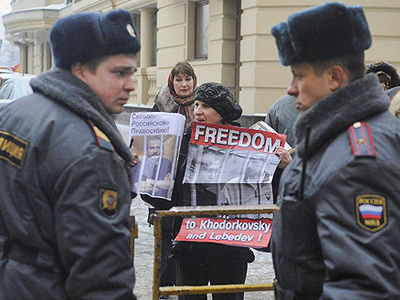 Russia's human rights ombudsman, Vladimir Lukin, believes it is too early to make conclusions.